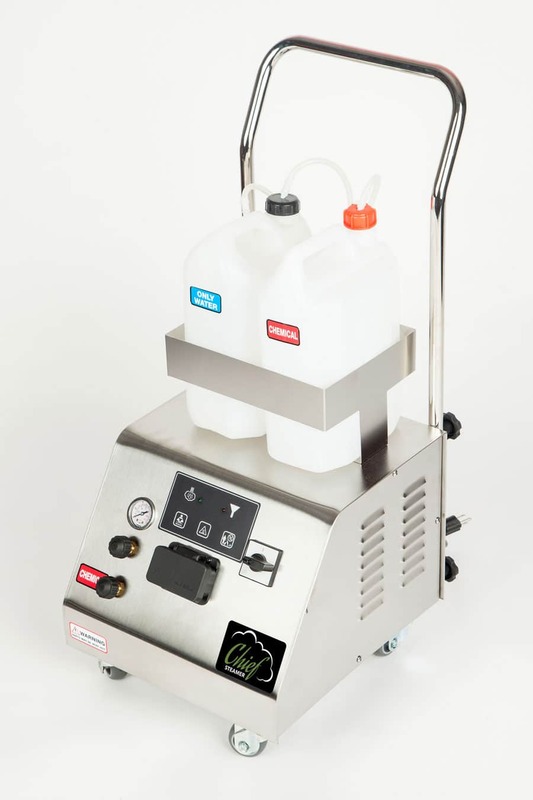 Are you thinking about purchasing the DuPray Hill Injection steam cleaner? Its a very good machine and very well made. 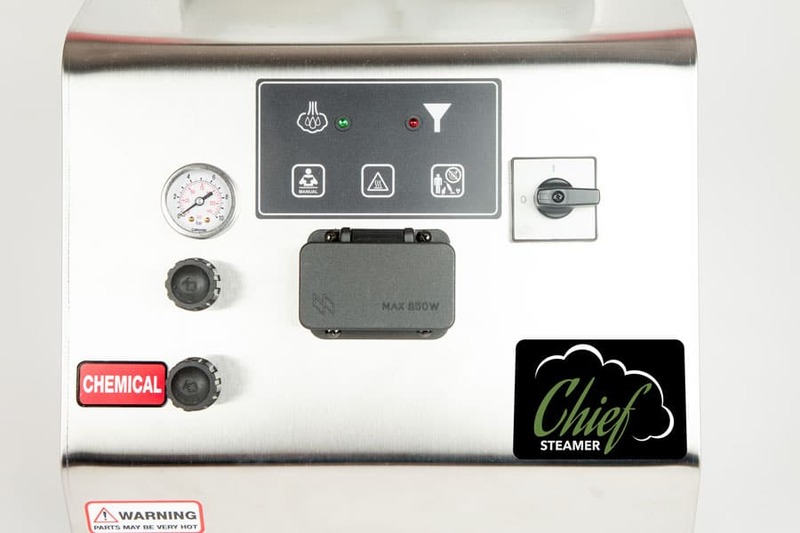 But, before you do buy theirs, please read our comparison with the Chief Steamer 125 injection steam cleaner and how we stack up. We think we can win you over. 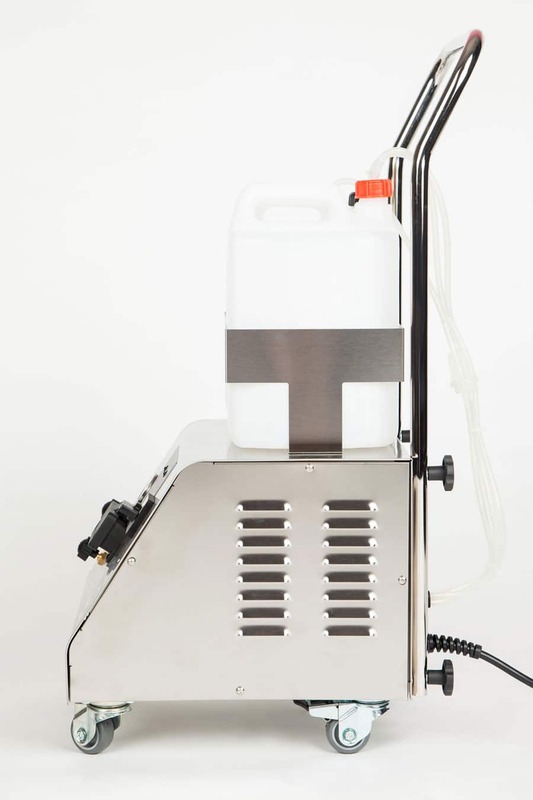 Simply put, an excellent commercial grade steam cleaner, designed for ALL DAY and heavy duty cleaning. We designed it for car wash and car detailing use, but its proven to work in all commercial applications. Look at our specs and then the price and decide for yourself. Used for anything really! We come from a car detailing background which is why this machine is so heavy duty. 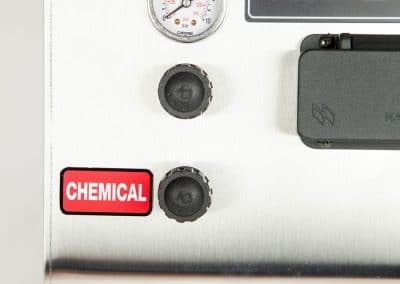 However, use it in Hotels, Restaurants, Medical facilities, Hospitals, commercial kitchens and baths, buses, trains and planes, and much more. 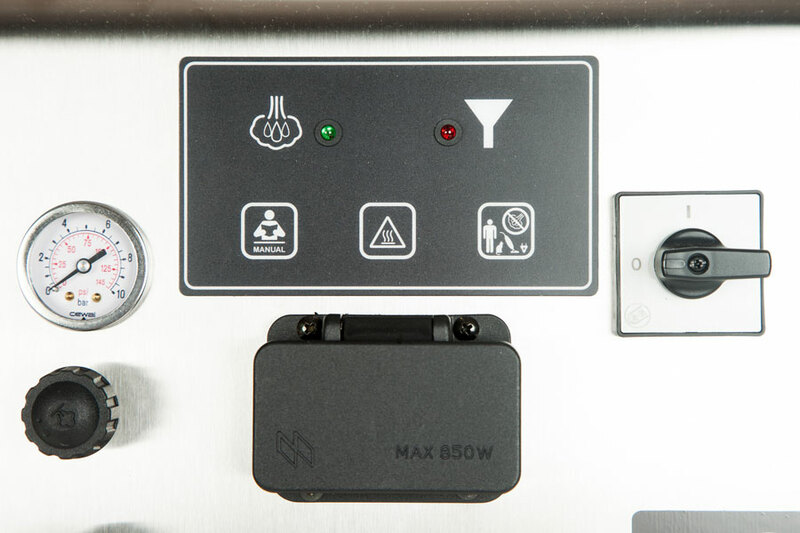 And we believe this is the one of the BEST 120 volt car wash steamer available at a very attractive price. We ship to the lower 48 states for $15. Free upgrade to 14.5 foot hose and 3 hole sprayer nozzle. Plus get a free squeegee. We ship to the lower 48 states for $12. Let us make the case for our 125 machine. Feel free to call or email us if you have any questions at all. DuPray makes excellent machines. 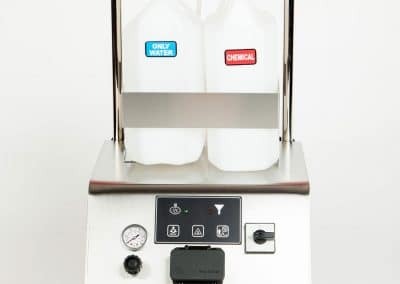 You certainly cannot go wrong by purchasing ANY DuPray steamer. They are made by a very reputable Italian company and sold by a very reputable company here in the US. Here, we decided to compare our 125 machine to the Dupray hill injection as well. 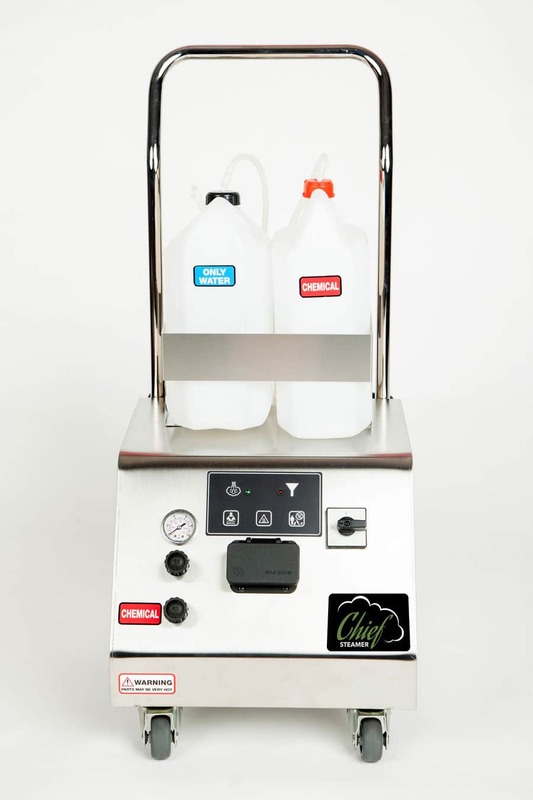 You may have seen our other comparison of the Chief 100 machine against the Hill Injection. We felt that was a fair comparison based on the overall sizes of the machines and overall performance. While Dupray had higher pressure vs our 100 machine, we still felt that we stacked up well in that comparison. 121 PSI…great pressure for a small steamer. 3 steam settings (low, medium, high). Hot water (or chemical) injection, in our opinion, a very small 20 ounce reservoir. 1.5 liter stainless boiler lifetime warranty. 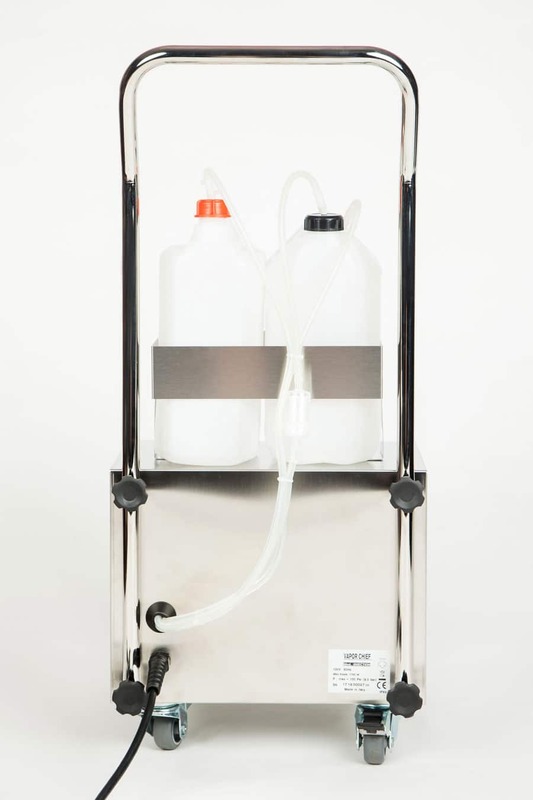 Large external 5 liter water tank and injection tank. 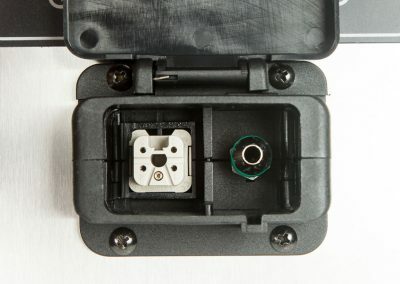 Separate valve for injection adjustment. 3.0 liter stainless steel lifetime warranty boiler. Full steam pressure adjustment from zero to full blast. 12 foot detachable steam hose. EXTERNAL heating element (never touches water). Lifetime boiler and heater warranty. 3 year internal parts warranty. Horsehair brushes are part of the accessory kit (very important for car detailing). VERY easy to repair and diagnose issues. These machines look very different. 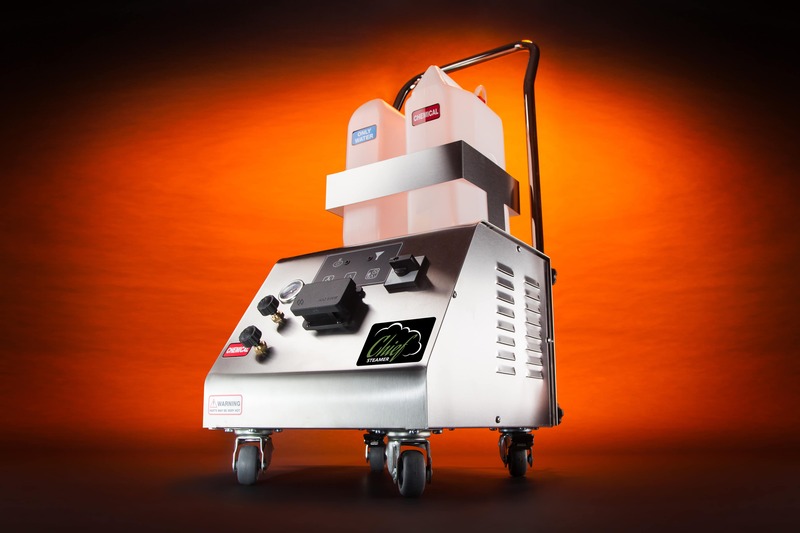 The DuPray hill injection is smaller and uses a smaller boiler. That is not necessarily a bad thing. Small boilers heat fast and recover fast. But they also may drop pressure faster. We use a larger boiler in our 125 machine. We also use a larger injection tank. 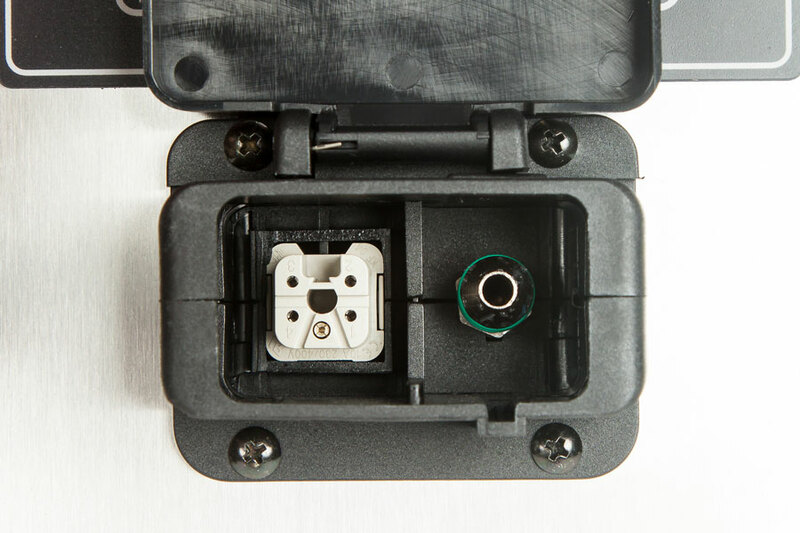 DuPray uses a small injection reservoir inside their unit. For most cleaning purposes, that is most likely a very good size. But for the car detail guys that need to wash a car with a water-less wash product, then having the much larger 5 liter injection tank will be very helpful. And in some commercial cleaning application, the larger tank may help as well. Our 125 machine weighs about 55 pounds. It’s heavier than the DuPray. It stands taller and wider than the Dupray. Ours may not work for you if you need something more compact. But if you have room and can deal with a bigger body machine, then please consider our specs and our price. 120 Volts- we know that is your choice if possible- Only 1 power cord. Remember 2 cords equals 240 volts! 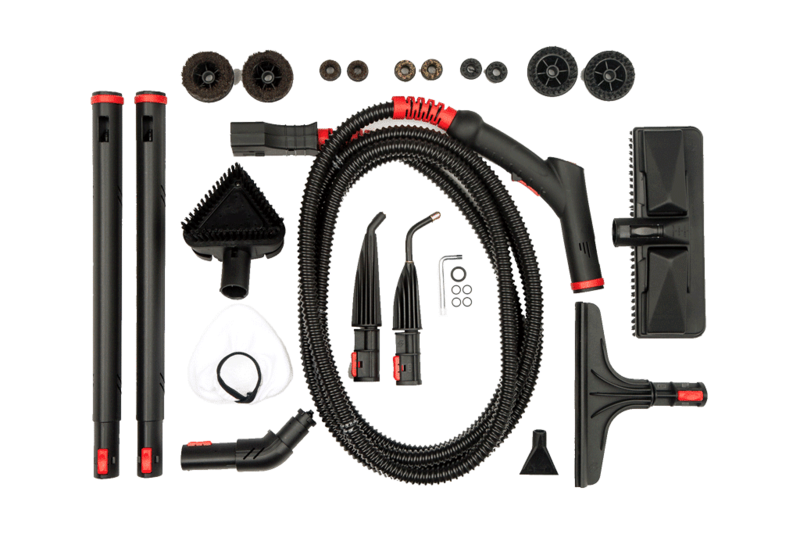 Exterior and Interior use- The Big diesel and propane steam cleaners are really only good for the exterior- Do you really want to have 2 machines for exterior and interior use? Plenty of starting pressure at 135 PSI. 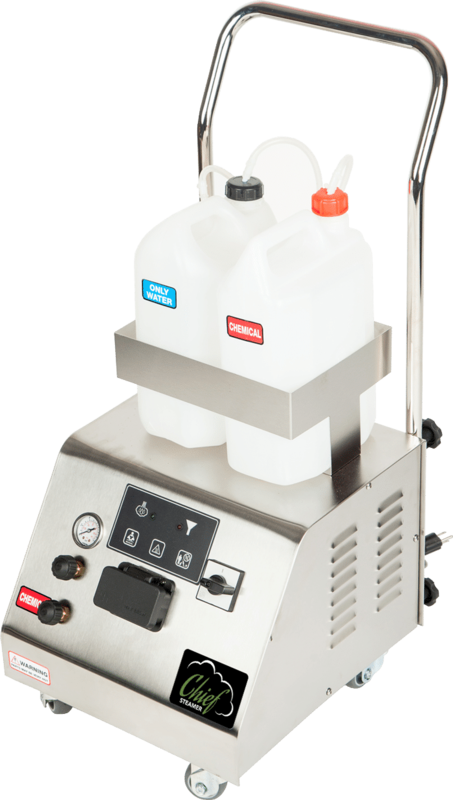 Less Expensive- We are able to sell this commercial car wash steam cleaner for a THIRD of what the Diesel or Propane machines cost! 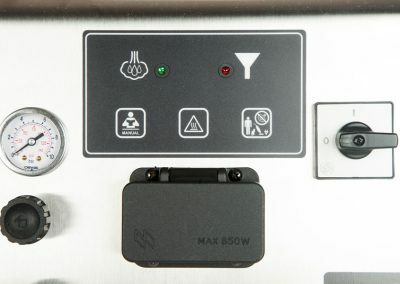 It features chemical injection (the cleaner of your choice) that bypasses the boiler and uses a pump to inject your favorite cleaning solution directly into the steam hose. 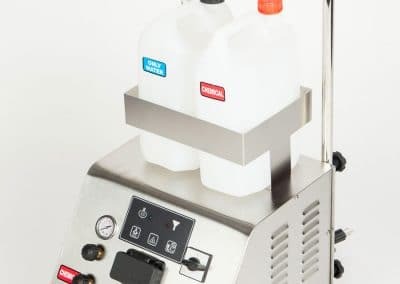 If you need slightly wetter steam, the button on the handle will give you the injection you need to clean tough grease and grime where wetter and higher steam volume is needed, while still being water friendly. The key feature in the Chief Steamer 125 car wash is the INJECTION! 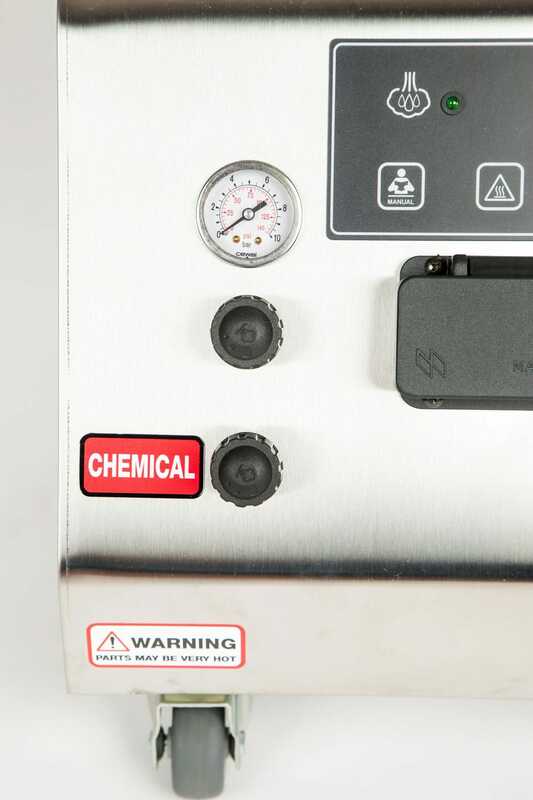 Now this is a different injection than you may have seen on some of the smaller units that claim they can clean built up grease and grime on commercial ovens. It just doesn’t work. Here is why…… those small steamers are simply running the water in the boiler through the hose to give you more wetness. 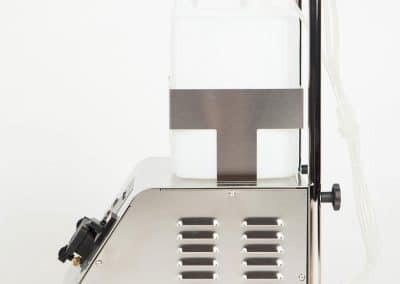 It’s nice and will be more helpful than not having it at all, but that wetness and extra water lasts about 10 seconds and that you lose most of the pressure. It uses the water in the boiler much faster That is not really a good option to wash a car. NOTE: GENERATOR USE-This machine will pull 1750 watts or about 14.5 amps. Please source a generator NOT just based on wattage. A good generator will have at least 3000 watts or more. However, the operating 120 volt circuit to be used should have at least 15 amps available on the circuit. Using a generator rated at LESS than 15 amps on the circuit will create too much heat and resistance. I’m a mobile detailer I specialize in semi trucks. Every truck I work on is filthy. 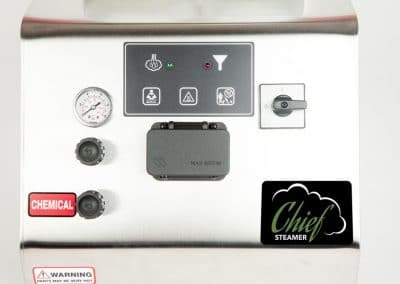 I started researching steamers and knew the 125 was the right fit for me. I primarily use this for interior detailing, engine bay defailing, and waterless washes inside the shop. At 120 volts you can easily plug into any outlet, the steam pressure and volume are strong. I had a McCulloch 175 before this and it didn’t even remotely compare to the vapor chief. 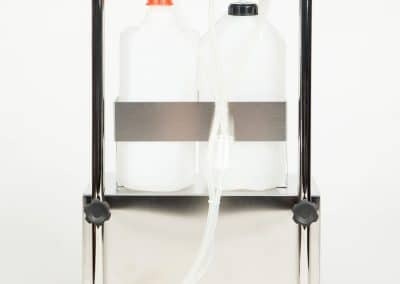 The chemical injection is fantastic and to be honest I’ve only used water in the second tank and that alone has done the trick when I need a little extra umph. 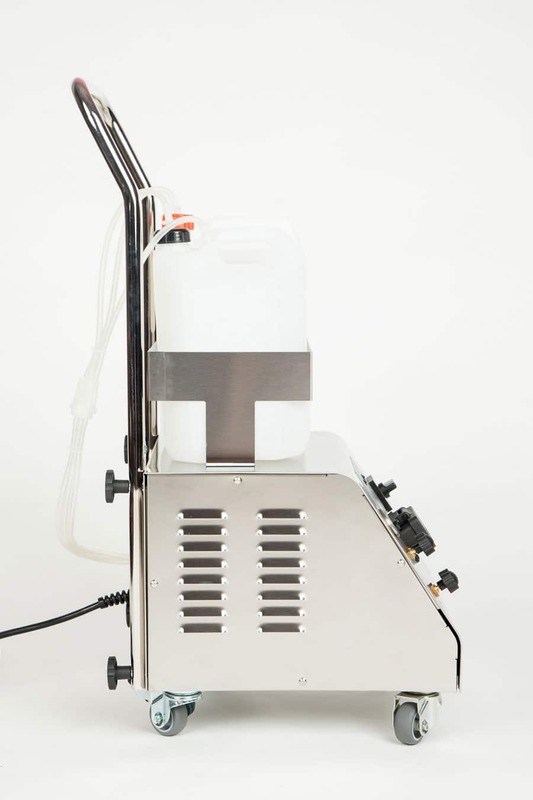 Listen to Kevin’s videos and don’t expect this to work like a 13-20 hp pressure washer, this machine is powerful for what it’s intended purpose is. It’s great to have in my arsenal. Last but not least I have to talk about Kevin. He’s a absolute stand up business owner, anytime I called to ask him his opinion or a question he gladly stayed on the phone for 15 plus mins giving me his thoughts to answer my question and do it a better way. He stands behind his steamers and is a detailer also. Thanks Kev! I am a mobile detailer. I looked at diesel and it would have worked for me being outside. But cost was a factor and I wanted brushes to do the interior. I decided on electric in 120 voltage. I chose this over the other electric injection steamer not only on price but the videos were great and pretty honest. I have had to adjust the way I wash a car and learn a completely new process. But it works. And as long as I do sections at a time, the pressure is good and the chemical delivery is excellent. The hose is long enough but of course not as long as the diesel machine. Works great on the interior with pressure turned lower. Most cars are not a problem to clean. Still getting used to much lower pressure compared to a power washer or having a diesel. I looked for a steamer to help clean a fleet of limos. The car wash wash getting expensive and time consuming. We could not wash them inside the garage with a pressure washer or a hose so we researched steam. Electric was the way to go and this machine does well. 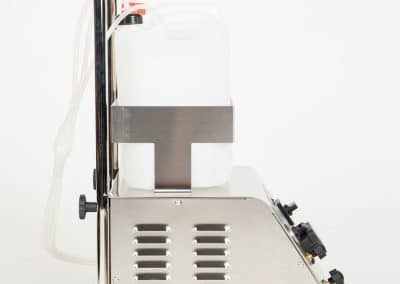 The wash tank for the spray injection is great on the exterior and we fly through the interior and clean up spills and other "messes" that party goers make inside a limo. It does take a little more time to wash a limo with steam and the pressure will drop if we use it engaged too long. But its a time saver and great working machine.